Do you feel called to work with crystals while assisting profound healing for your clients? Are you curious about shamanic work? If YES, this course may be for you! The complete Crystal Dreaming practitioner training is taught over a three day period. Your training commences with the one day stand-alone Crystal Awareness foundation course. This is then followed up with the two day Crystal Dreaming practitioner training course. 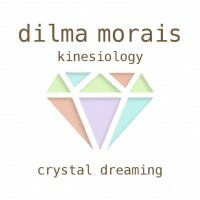 Taught consecutively Crystal Awareness is a prerequisite for all Crystal Dreaming practitioner trainees. In this one day workshop you will learn about the qualities of crystals, enabling you to use them as “medicine”. You will learn how to balance chakras with crystals, how to protect spaces, how to program a crystal, cleanse them, how to create powerful grids and their impact on a Crystal Dreaming mandala. Understanding crystals and how they affect our energy. Working with crystals for personal growth, healing and balance. Expand your consciousness and enhance your environment and relationships. Crystal knowledge and where it comes from. Preparing self and your space before using crystals. Chakras, their purpose and how different crystals affect them. You will have the opportunity to practice observing and feeling different crystals and using your intuition to sense their purpose. We will also discuss the use of crystals to ease physical pain, remember dreams, release stress, create peace and harmony, neutralize electronic interference (computers) and much more. Crystal Dreaming™ has been developed by Raym Richards. The process is proven, practical and easy to apply. The results are immediate and frequently life transforming. In this two day course, you will learn to facilitate a drug-free shamanic journey for your clients, enabling access to the “superconscious”. Your clients will experience first hand their own divine presence and absolute bliss through Crystal Dreaming. On completion you will receive a certificate of participation allowing you to practice as a Crystal Dreaming™ facilitator. The focus of Crystal Dreaming is to empower anyone to diagnose and treat themselves of any imbalance on any level. It will implement positive life changes from knowledge your client has personally received from the spirit realm. You will learn how to assist in releasing any blockages or limitations, cellular memories, past or present life trauma, negative energies or entities or any aspect of your clients being that requires more love and understanding. We will be working from Raym’s book “Alchemy of Crystals” a copy of which is included in the course fee. Please get in touch with Dilma to reserve your place in the course. You can choose to do the first day only or the full course. Some students will be ready to start their practice while others may take their time until they feel ready.